“The auctioneer stopped me on the way out saying gee I’ve got something here for you, and he had the bracelet in his hand,” said Sjostrom. He showed her an appraisal certificate saying the bracelet is worth a lot of money — $34,000 retail. But the auctioneer said Mary could have it for a mere $3,500. “$3,000 to pay for something that had a $34,000 value would be incredible,” said Sjostrom. So Mary bought it. With fees and taxes, she paid $4,200. Then she went outside and got a closer look. “The rubies were very, very cloudy a lot of cracks and inclusions in the diamonds,” said Sjostrom. Mary went right back in and asked for a refund. But all sales were final. “He said, well, try and sell it on eBay,” said Sjostrom. Needless to say that was not the kind of answer that Mary was looking for. 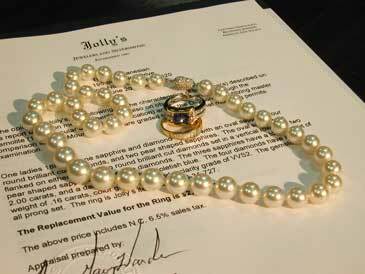 If you are shopping at a San Diego pawn shop for jewelry and the owner shows you an appraisal certificate, look at with a discerning eye. Remeber that the appraisal value is the RETAIL value, and that could be hugely inflated. Don’t rush into anything. 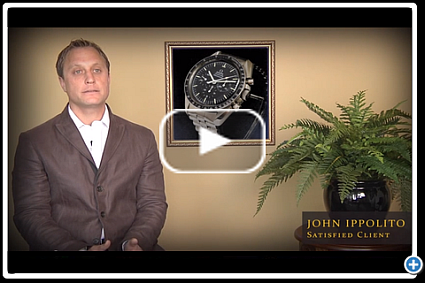 Check out the appraiser with the Better Business Bureau, as well as the pawn shop. Now that you have learned a bit more about jewelry appraisers, it would be a good idea to follow up that knowledge with our article: 7 Tips for Selling Diamonds and Diamond Rings.